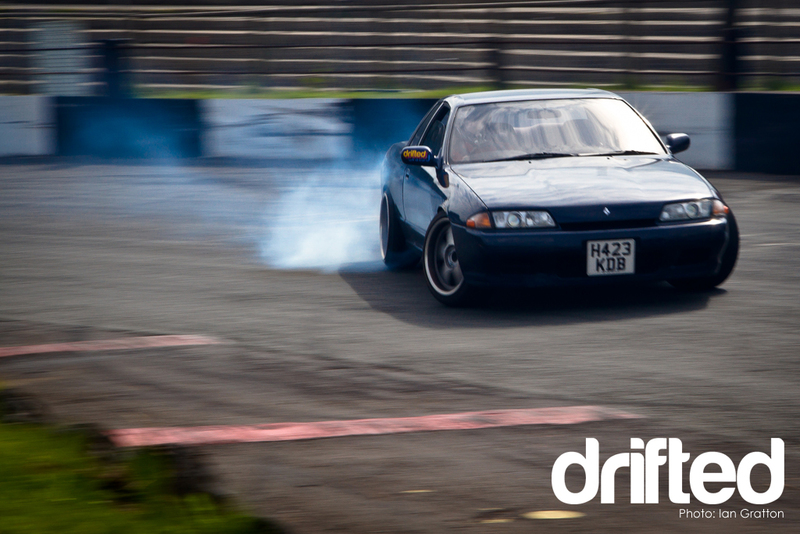 Whilst the rest of the UK drifted.com media crew headed over to the BDC Team Drift Weekend at Norfolk Arena I ventured back into the Derbyshire peaks to see what was going down in the ring of steel. 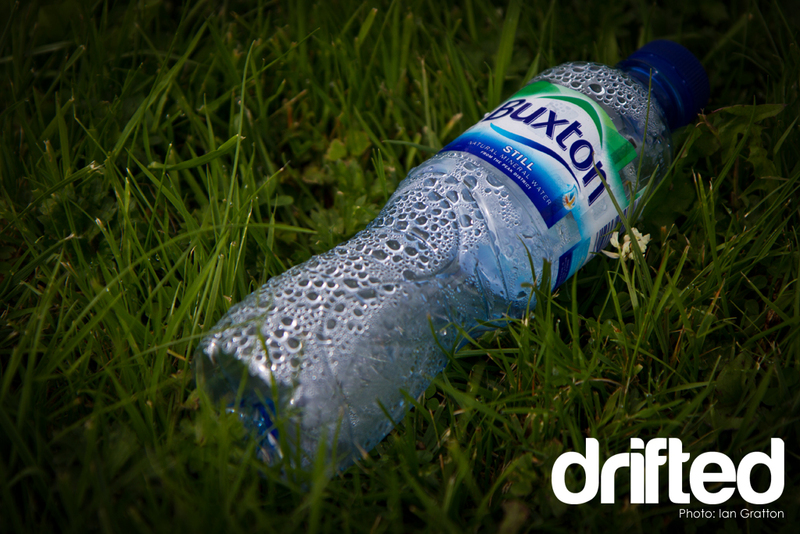 Whilst it was sunny and warm on Sunday morning in Derby it was no such thing in Buxton. The MET Office weather report suggested it was going to be 17deg all day long with sunny skys and light wind. As I got closer to Buxton It was obvious there must be a problem with the big computer those guys use to predict weather as there was a light drizzle and thick soupy fog. Never mind, I’ve been coming to Buxton long enough to know it has a weather system all of its own. On arrival I couldn’t help but notice that the car park and pits area was much busier than my last visit. Its great to finally see this venue getting bigger numbers of drivers and spectators alike. So lets have a look at some of the action from the day. This well presented R32 Skyline GTS-T was a newcomer to Buxton and once the driver had overcome the initial worries of the steel wall put in some really nice laps. As the day progressed the front and rear bumpers were removed from the car after losing the front a few times which is probably a wise choice. 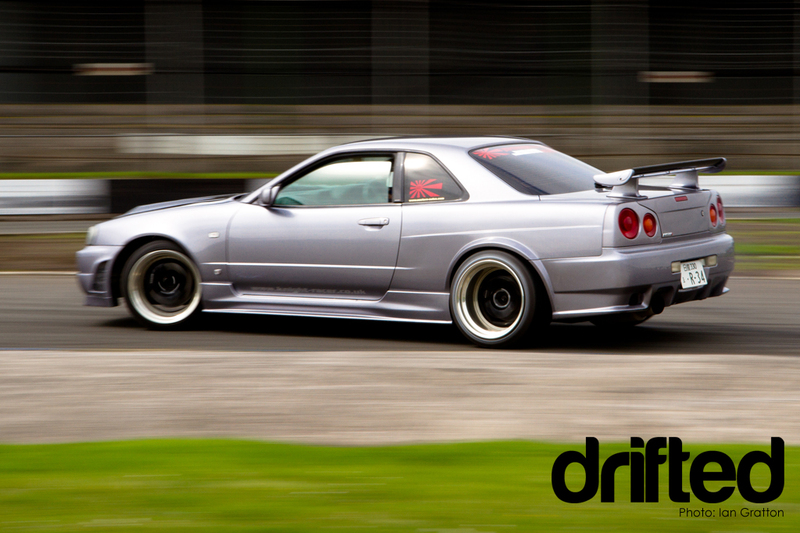 Yet another R32 Skyline GTS-T newcomer to Buxton. The car was still using the standard VLSD which from personal experience can feel a little like an elastic band until the viscous element warms up. The driver obviously didn’t let that stop him from having a boat load of fun. Yet ANOTHER Skyline…this time a very very well prepared wide bodied R34 GTS-T owned by JamieR. Skylines outnumbered BMW‘s at Buxton today which is quite unusual. The car was also wearing some super wide wheels which at a guess were likely to be SSR Profs – I would guess 11J at the rear. 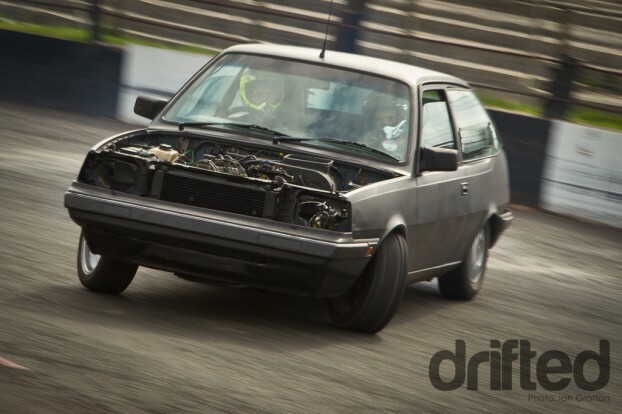 I would have some fairly grave concerns about running such a tidy car round Buxton but as soon as Jamie overcame the fear of trashing his pride and joy he really started to push harder and have some real fun. It just goes to show if you build up at a steady pace and try not to do too much too soon and know your limits there is some real fun to be had here without getting an expensive repair bill. 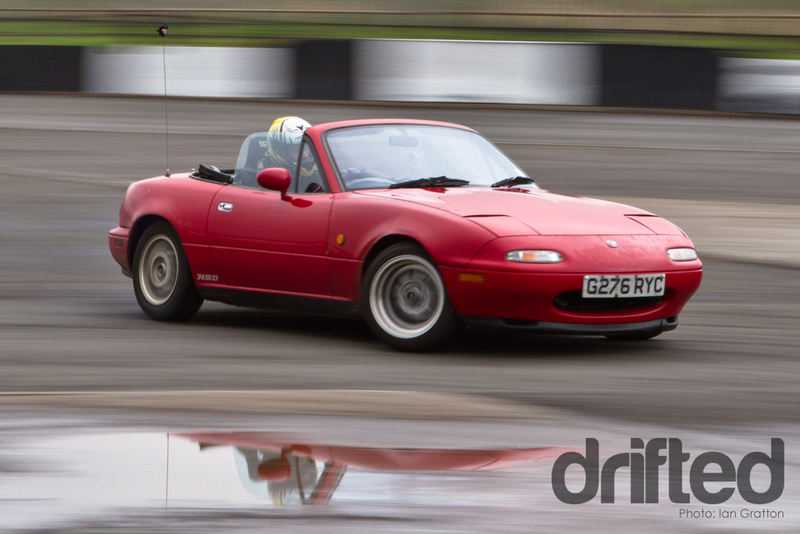 BudgetDrifter was back again in his NB Mazda. This poor chap has had some trouble with the authorities recently with window stickers. Notice the cunning use of a Drifted outline sticker on the back of his rear view mirror ? fight the power man. CowpatMatt was back again in his 1.6l Mazda NA. Congrats to Matt who took first place in the day’s ODC competition. 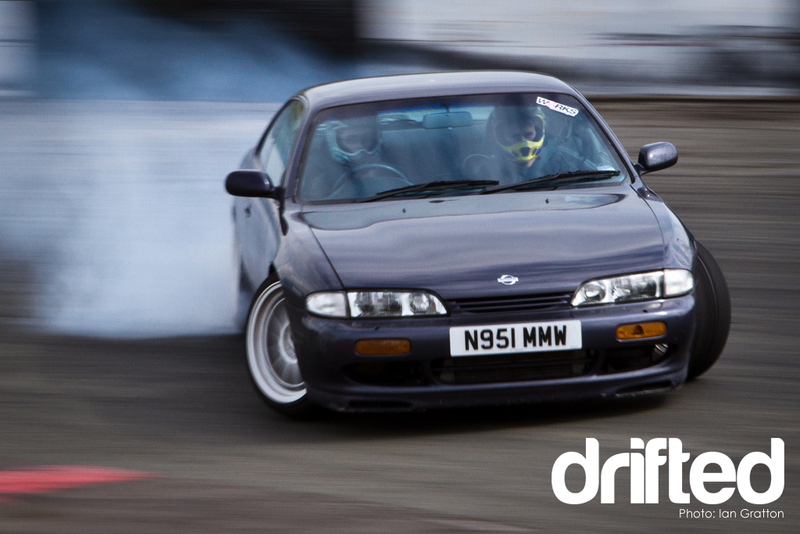 The finals boiled down to Matt vs. John in an S14 Silvia in a big car/little car showdown. They had to run twice as they were so close Well done to everyone who entered the competition. The DriftOne taxi was busy as ever and subjecting the passengers to some nice fast entries. 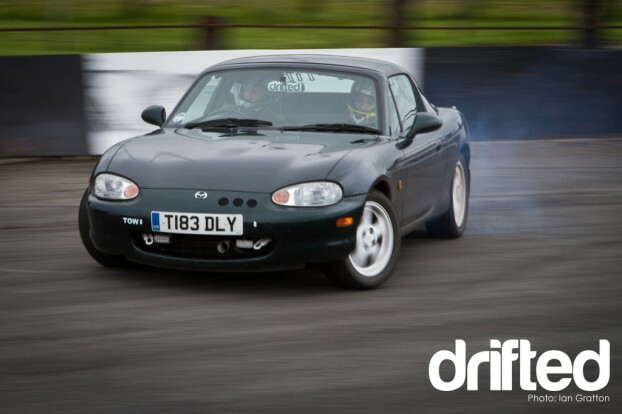 I wonder how many passengers who have never experienced drifting before nearly put their foot through the passenger footwell searching for the imaginary brake pedal? It was also really really nice to have Chris ‘Paz’ Parry up at Buxton with us for the day. Paz has been somewhat absent from the driving element of drifting for the last year for one reason or another but its great to have you back behind the wheel maaan!. 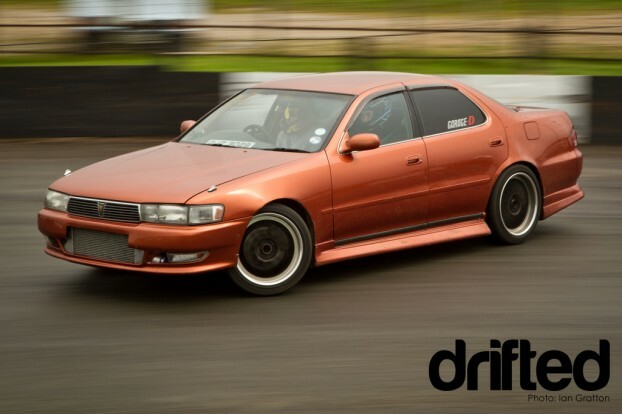 Chris has also moved over to the darkside and is now driving a Nissan Silvia. 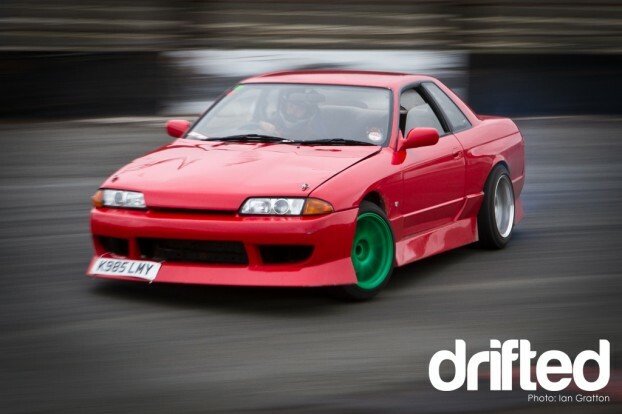 We have fond memories of watching Paz’s old red Trueno romping through the uk competition scene a few years ago. 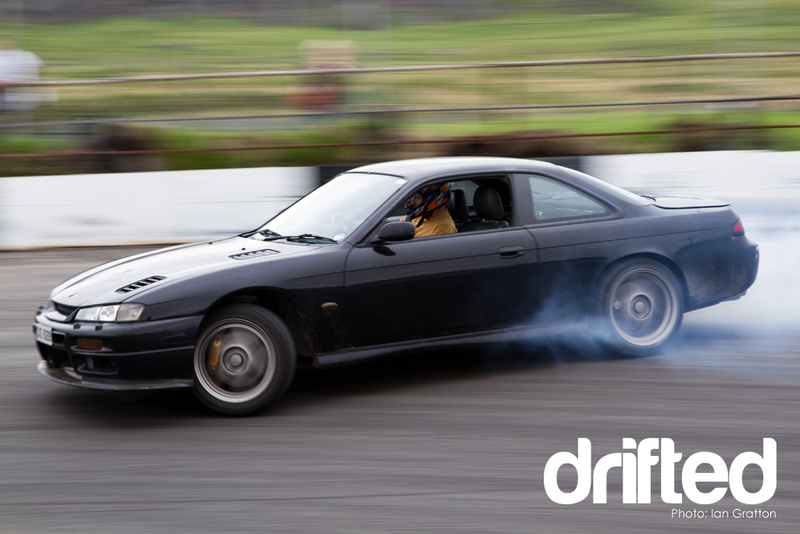 This lovely looking black s14a was going really well all day. Later in the day it took a bit of a whack on the back but it lives on to skid another day. This Volvo 340 had to be the lowest powered car present. It just goes to show you really don’t need 500+bhp to have lots of fun – I bet this guy and another chap in the Ford Sierra had just as much fun as everyone else. Having not driven or been driven in a drift car for what seems like a long time I decided to put the camera down for a while and jump in with a few of the locals. Thanks to the driver of the blue R32 Skyline, Budget Drifter in the green MX-5 and Karl’s Toyota Cresta. I’ve never had the pleasure of riding in one of these big old toyotas and for a big heavy car I was quite suprised by how well it changed direction. Power obviously wasn’t an issue and it would keep the rear wheels lit up in 3rd all the way down the straight – it must be awesome in an environment where you can use more of the power on tap. From observing these days at Buxton its really obvious that regular attendees now feel much more at home driving here. Things are so much more consistent and drivers have got to the point where they are starting to develop their own styles and ways of doing things. A great atmosphere is starting to form at these DriftOne Buxton days and its a nice laid back way to spend your Sunday with a great bunch of like minded people. Get your £10 notes at the ready and keep Sunday the 19th Of September free for the next one! More photos from the day will eventually end up in this flickr photoset. So thats all for now. 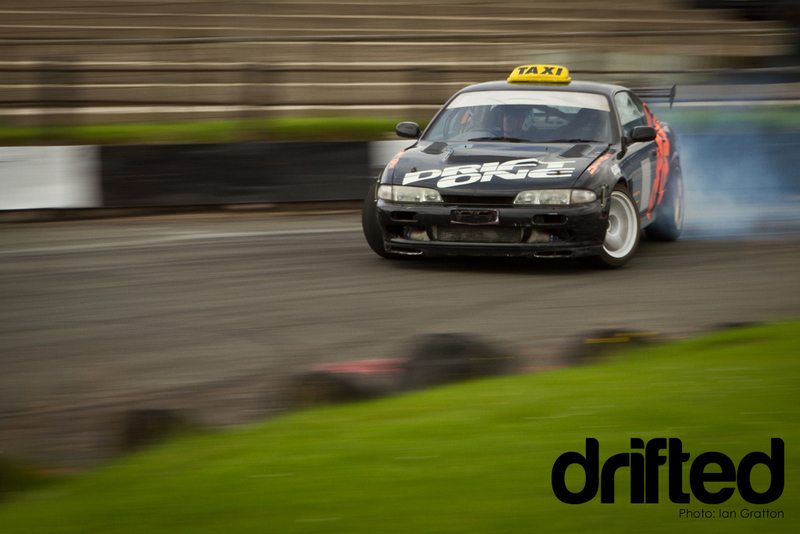 Watch out for more Drifted UK coverage from the BDC Team Event at Norfolk, Mallory Park Full Circuit Drift and JDM Allstars Wembley before the end of the month.